Trains are for sure one of the most safest way of getting from A to B. However, occasionally something weird happens, which may lead into a more dangerous situation than normally. It is good to be prepared for those situations. 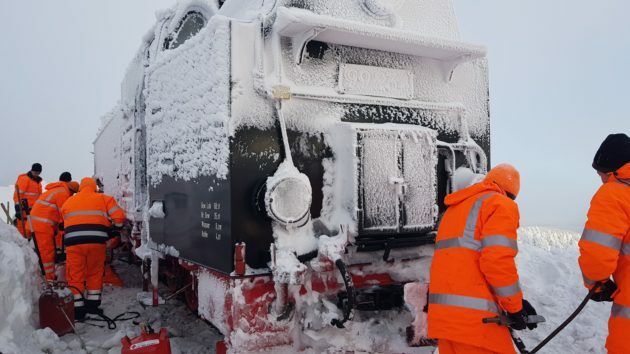 Our customer HSB, a regional train operator in the heart of Germany, was well prepared these days when one of their beautiful historic steam locomotives suddenly got stuck in a huge amount of snow on their regular trip to the top of mount Brocken. Despite of a massive effort in getting the train moving, the weather conditions were so severe that the locomotive had to be left on the spot for 2 days and nights. 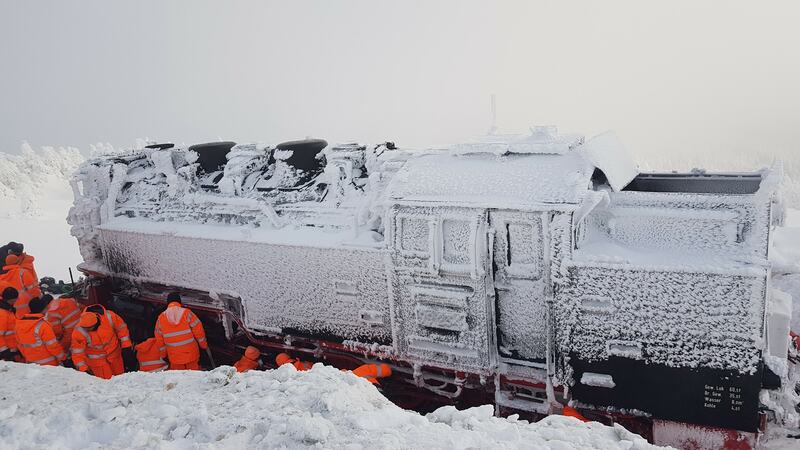 During this time, the harsh winterly weather conditions turned the entire locomotive into a massive block of ice, as the following images show. Even the prime news in TV and printed press reported about the case. We are very proud that our train collision avoidance system onboard the locomotive worked well and served the safety all the time even if the locomotive surrounding was a piece of ice.